This week was good, mostly because Evelin got baptized. She´s awesome and she will be one heck of a member! Her family is a family that I will hold close to my thoughts and heart forever. I have made memories with them that I will never forget. So this week, we were late for sacrament. Ha-ha it was a little embarrassing, when we showed up just in time to get the sacrament... I don't know what was going through my mind at the time we were going to pick up our investigators. (I blame it on me not having a watch. Yep that's my excuse). I thought we had a lot more time than we did and I decided to climb a tree with some kids and snack on some momones, I call them “Mormones.” It’s a fruit that I personally guarantee you will literally hate when you first try it. It’s like sour and bitter at the same time and it makes your mouth feel super gluey. (is gluey a word?) Well whatever, it feels like glue is in your mouth. So, obviously this fruit has grown on me because now I climb trees when we are supposed to be going to church. Whoops! I promise I have changed so much on my mission! I just got a little distracted that's all. So all the members were asking what happened and I just told them, I was in a tree picking momones. The funny part is no one was mad or gave me a funny look or even called me immature. They all commanded, putting their open hand out, "well give me some". I wasn´t even generous, I ate them all before I got to church. So Evelin got confirmed though and that was great! I confirmed the first person in my life this Sunday. It was pretty stressful. But, hey she is now a member of the one and only true church and know has the gift of the Holy Ghost. So that's cool! We are teaching someone who has committed murder. He has accepted baptism and it’s really humbling to see him go through the process. I know everyone’s conversion is different but, I’d be lying to myself to say his is completely normal. He is not all the way there and I think it will take him a while. I might not see him baptized, but I know one day he will be. He has to practically cover his face when he walks with us to church because there are people that if they see them they have to "right" to kill him. It’s weird how he accepts death. He actually has told us he deserves to die. Every lesson we have with him, more and more pain comes out about his life. He has burn marks on his forearms from where the gang he was in held him down and literally branded him. He has tattoos he has taken out himself. He has a mullet though, so that's pretty cool. Ha-ha I always tell him to cut it because it’s ugly! When this man reads the Book of Mormon its different. It’s like he is actually trying to put himself in the scriptures. 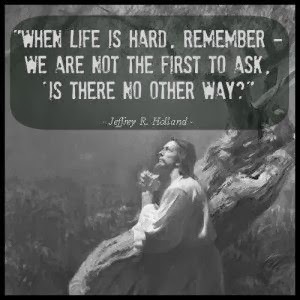 He imagines himself as Nephi and the problems he had to deal with. It’s something really special. Family C. really let me down this week. They are a family of eight and only the mother was baptized! They are a new family here in Morazan and are really just trying to make ends meet. It is super humbling and I feel like part of their family every time we teach them!!! But, they didn't go to church this past Sunday; it was kind of a bummer! But I loved what the Father told me when we passed by. He said, there is not excuse and he will repent and come next week and that he was super sorry. I couldn't even stay mad for very long. Anyways we hope to have the five members of the family that are eligible for baptism baptized in August! That day will be a happy day!!! Today was the worst pday of my whole mission! So I have been eating a bunch because we have been going to the gym every morning. (do you like how I put that in so that any girls reading it will know I'm still dedicated? haha). Anyways, today I woke up and had no food so I was like, oh today we should have money on our cards! Wronngooo! We did not have money on our cards! So its “chill” we didn’t go to the zone pday and I washed clothes instead. That's what I like to call relaxing a little bit!!! It’s weird how I never knew how to wash clothes until I got on the mission. I always had the idea that everyone in the world used washing and drying machines. Wronngggoo! To wash laundry here is like a three hour process and you get done and your hands are all clammy (super baggey thought… the only time your hands got that clammy back at home is when you were in the hot tub for a long time). You sweat so much doing laundry too! I washed the bathroom the other day, thought I might have to go to the doctors and get my hands amputated. It was a nightmare! Note to self….even though when you throw up and you feel like crap you should still try and at least clean up a little of the throw up before it dries! That was gross, but I'm not sorry about it, throwing up happens a lot here. My comp is still super cool. We both get moody sometimes, but we’re chill with each other. Oh wait is it still July let’s throw on two baptisms to end the month! Pictures to come!!! If you’re out there and reading this, remember Lot´s wife and don't look back at sin. Don’t open old wounds and don't unbury what is buried. Love every single one of you and you are in my prayers. Thanks for all the love you send my way!!! 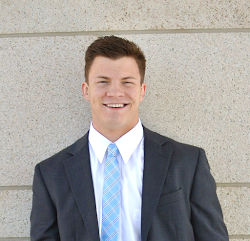 My name is Elder Hansgen and I know it’s all true.